The perfect size and fit ensures optimum comfort and power output when riding, whether you are commuting daily, cycling on a sunny Sunday afternoon in the countryside, racing or touring around the world. 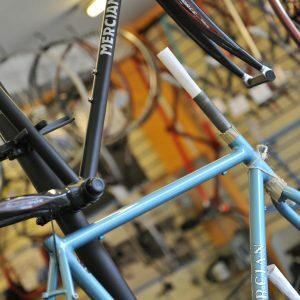 We are all individuals with different torso length, shoe size, length of arms and legs, the beauty of a custom built frame is that it’s built to suit you. 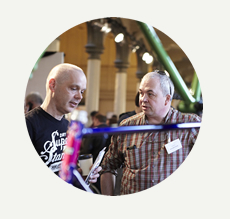 A one off, crafted to your exacting requirements. 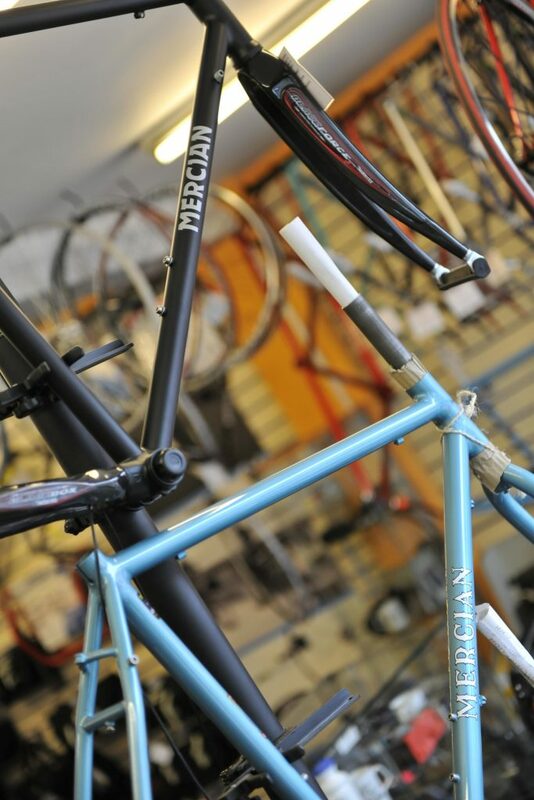 Customers visiting to order a Mercian are measured on a specially designed jig, where skill, time and patience ensure a correct frame size and design – tailored to match your needs. 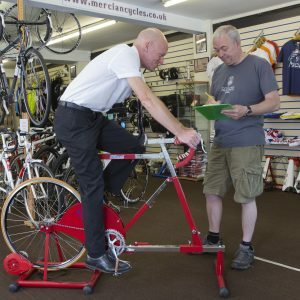 This service is free of charge when you buy a Mercian but please make an appointment. 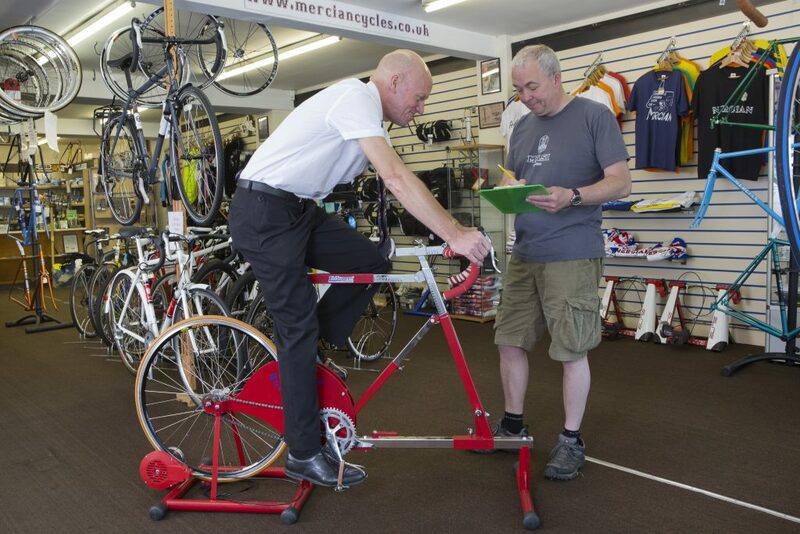 For customers that are unable to visit for a frame fitting, we can build the right size frame by just taking a few measurements – overall height without shoes and inside leg measurement will allow us to build you a frame with the right seat tube height and top tube length. 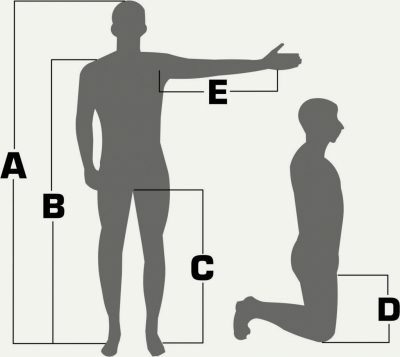 A = Inside leg measurement, down to the floor, without shoes (not inside leg measurement for trousers). B = Overall height, without shoes.